It’s very rare where mixed media film actually contain great animation. But this French film by Julien Neel defied the norm to integrate some very lovely anime-styled images in a live-action film narrative. The film is called Lou! Journal Infime, and in it are four animated sequences created by Yapiko animation. The animated sequences sought to materialise the inner world of Lou’s mother character. In the novel she’s writing, she tells the adventures of Sidera, her fantasy alter ego. In the film, Lou is a shy but thoughtful young girl with a profound imagination. 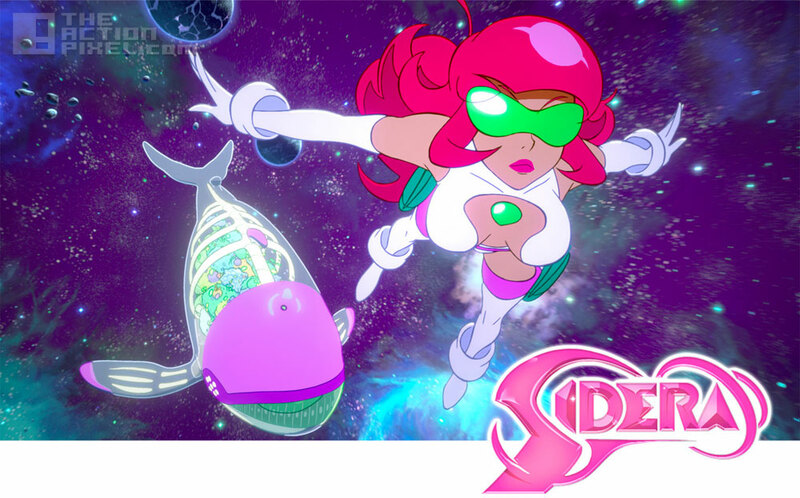 As she charts the uneasy road of her early adolescence, Lou retreats to comfort of her sketchbook where her sci-fi alter-ego mother Sidera blasts across the galaxy in her Space Whale-ship and rides bodybuilding My Little Pony centaurs across sugar-coated dunes of dessert (get it?) planets. Can you dig it?